Whether you want the safety on snowy roads, need to lug bikes and gear on a road trip or your dog needs room to shake after a swim at the reservoir, your Subaru needs to perform in every situation. In Boulder, Subaru is one of the most popular cars that can keep up with a busy outdoor lifestyle. You bought your Subaru for a reason, and the last thing you want is for it not to be operating at its best when you need it most. Indian Peaks Auto understands how to keep a Subaru running in top condition, conserving gas, driving smooth, and getting you places. While your Subaru may feel like a workhorse, even everyday commuting and winter driving can take a toll. 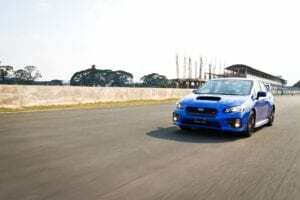 Lowering amounts of coolant, strange noises or grinding feelings when driving are just some of the symptoms that might appear, which mean a Subaru service is needed. Indian Peaks Auto has been servicing all types of Subaru models throughout Boulder and Boulder County for more than 20 years! Our expert team of technicians can get your Subaru Outback, Impreza, WRX or other model diagnosed, maintained, and repaired for the best price and to the highest quality. With more than 100 years of combined experience, Indian Peaks Auto is proud to be one of Boulder’s top-rated auto repair companies and Subaru service shop. Our team of Subaru service mechanics and technicians understand how Subaru operation works and provide fast, warranty-backed support to get your car running smooth! Your local Boulder, Colorado Subaru service shop is here to help!